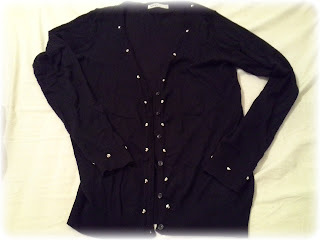 I bought a plain black cardigan two weeks ago and I felt inspired enough to customise it before taking it with me on my short business trip last week. It's very easy peasy: you decide where you want the studs to be and then you simply settle them there using your pliers. 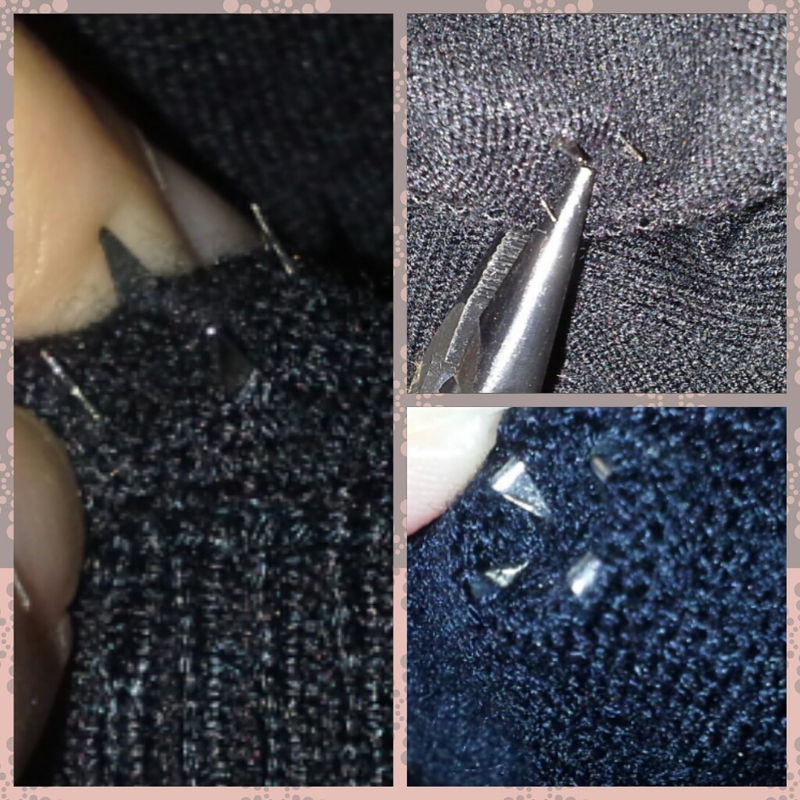 Since I was working with a knitted fabric, I didn't need to make any holes to place the studs: the tines just went through like a dream. My studs were also shallow, which means that I could bend the tines all the way down so, these studs are never ever coming loose. 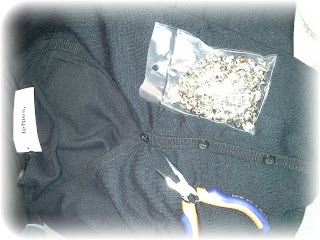 Though this is nothing new, I hope you liked this simple way of revamping/customising a plain cardigan. Hi, Elle! Thank you very much for your comment! I'm a follower of your blog and I have been enjoying your vacation in Mexico so much. I also have encountered feelings when it comes to petting a dolphin. I found a place not far from where I live where you can do so, but I've yet to decide if I wanna do it or not. Wow! Good job! It's beautiful! Thanks for your comment! I love every single picture I've seen in your blog. They are excellent.